Earle Stevens Jr., 66, of Vero Beach, Fla., wasn't able to persuade officers that his drinking while at traffic signals and stop signs wasn't worthy of a driving while intoxicated charge. VERO BEACH, Fla. — A man who told officers that he had been charged twice for drunken driving in Missouri assured them he was not drinking and driving this time when he was questioned in a McDonald's parking lot here. 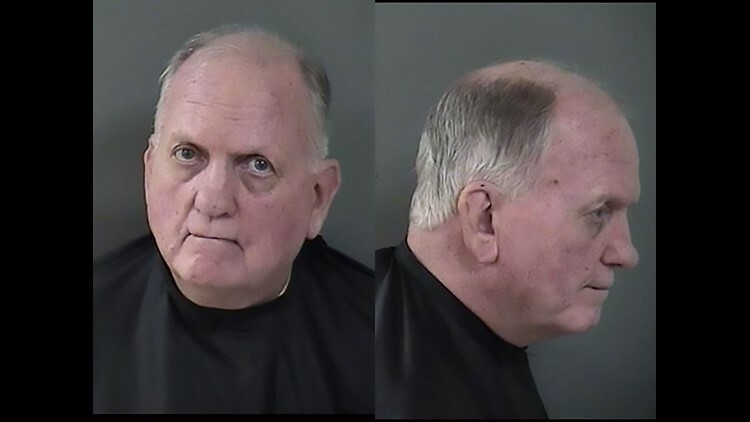 Instead, Earle Stevens Jr., 66, of Vero Beach was downing bourbon only while stopped at traffic signals and stop signs, he told investigators June 27. A woman, who was not identified in the officers' arrest affidavit, had called Indian River County deputies after she said a vehicle behind her in the McDonald's drive-thru kept striking her rear bumper. When deputies asked for his driver's license, Stevens said he never has had one in Florida. But they did notice he had an open bottle of liquor in a brown paper bag in his passenger seat. ► May 2: Which state's residents drink the most beer? “He further explained that he was not drinking while the car was moving and only when he stopped for stop signs and traffic signals,” the affidavit stated. Stevens also told officers that he had imbibed "actively" from his Jim Beam bourbon bottle as he drove from Port St. Lucie to the McDonald's in Vero Beach, almost 30 miles. ► Feb. 5: Can your state be doing more to prevent drunken driving? After being asked to participate in field sobriety tests, Stevens was arrested on charges of driving while intoxicated and driving without a license. At Indian River County Jail, breath tests measured his blood-alcohol content at 0.153 and 0.147. The legal limit for driving is 0.08; at 0.12, vomiting usually occurs, and at 0.15 balance and movement are impaired, according to Aware Awake Alive, a nonprofit dedicated to preventing deaths from alcohol poisoning. At 0.15 BAC, the equivalent of a half pint of whiskey is circulating in the bloodstream.